Lime juice has high levels of citric acid. Excess lime juice can easily cause heart burn. Take lime juice only in small amounts. Who wouldn’t enjoy sipping on a glass of cool lemonade? Lime juice feels like a luxury that adds it’s amazing distinct flavour and tinge of excitement to the food and beverages. But there is another side to it. Drinking excess lime juice may have some side effects. Though, none of the side effects are serious, they can still lead to discomforting and even painful problems. Here are some of the most common dangers of lime juice when taken in excess amounts. As they say, prevention is better thancure, it’s better to know when to reduce your lime juice intake. Lime juice contains high amounts of citric acid which can dissolve enamel. Excessive intake of lime juice can damage the enamel lining of your teeth and increase the risk of tooth decay and plaque. If you start experiencing sensitivity and pain, you should consider limiting your lime juice intake. The high amount of citric acid in lime juice also poses risk of stomach ulcers. Stomach ulcers develop in the stomach lining or small intestine and can get very discomforting and painful. Citric acid can damage the mucus lining inside the stomach causing painful sores inside the stomach.. 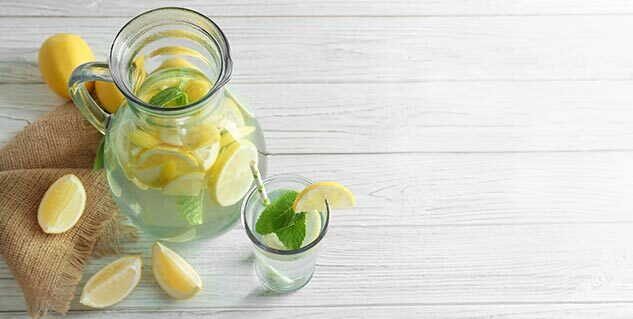 Since the stomach already produces several acids to handle the food inside the stomach, extra citric acid from excess lime juice can irritate the stomach. So if you experience stomach ulcers or find them taking too long to heal, you should cut down on your lime juice intake or completely avoid it for some time. Pregnant women are more prone to heartburn and food-borne illnesses. Excessive amount of lime juice can increase risk of both heartburn and other food-borne illnesses since the immune system gets weak during pregnancy. Since excessive amount of lime juice can affect the stomach, it might also pose risk for the wellbeing of the baby inside the womb. Gastroesphageal reflux disorder is a digestive disorder triggered by spicy or acidic foods. It affects the ring of muscle between the oesophagus and stomach. 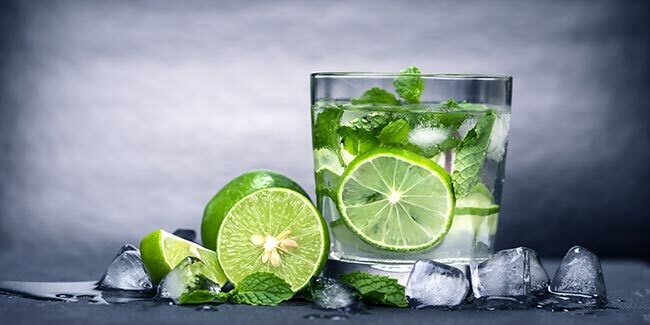 Excess intake of lime juice can irritate the oesophageal lining increasing risk of the gastroesphageal reflux disorder. Although, people with kidney stone are recommended to increase intake citrus fruits, however that might not be the case if someone has other kidney problem. In fact, the high amount of potassium levels in citrus fruits can affect the electrolyte balance in people with kidney ailments. Therefore, excessive intake of lime juice can be harmful for people with kidney ailments.